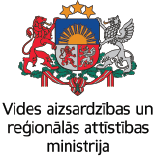 Latgale Planning Region invites local municipalities of the region to participate in experience exchange visit to Lithuanian municipalities to strengthen interregional cooperation by dealing with situations in cultural field. These activities will take place in Utena and Anykščiai on July 24, 2018 and July 25, 2018. The main aim of these activities is to invigorate interregional cooperation in cultural field and to visit cultural organizations which are examples of good practice. During these activities participants will also discuss how to make improvements in the future in local government services to make them be delivered faster and more efficiently, taking into account the needs of the population, so that saved resources might be transferred to the local government development.